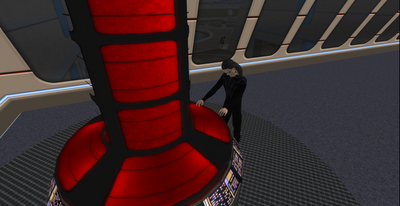 Debbydo for GFC news: Impromptu RP! A Wraith, a Cardassian and an Andorian enter a Bajoran temple. Luckily, Humbridge was there to stop him. 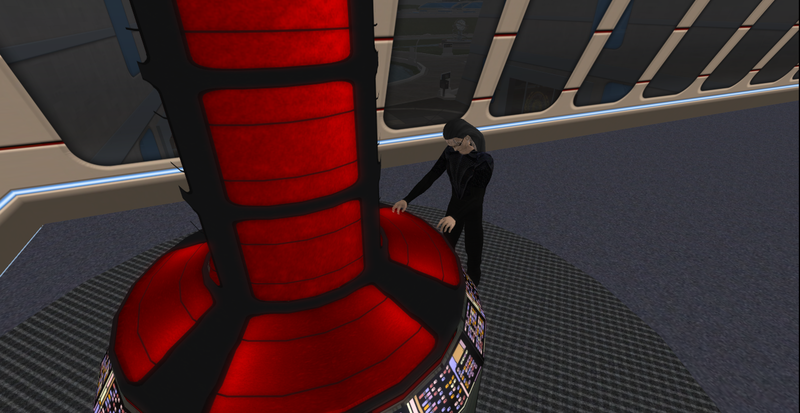 It took some effort, but like any good protagonist, he stopped the overload of the generator in the nick of time, with the help of the other alien ambassador. GFC is saved once again. We'll be doing more impromptu roleplays whenever we can... so feel free to join us, or even start one of those. Who knows, next time we'll actually discover a time portal to the past and let dinosaurs in... hmmm, I've got to remember that one. Anyway, I keep pondering about that joke... A Wraith, a Cardassian and an Andorian enter a Bajoran temple. How would that one finish? Post your comments here! 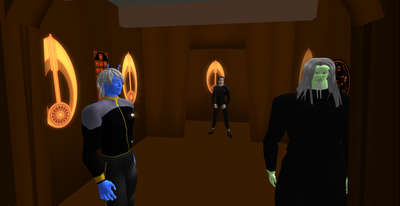 A Wraith, a Cardassian and an Andorian enter a Bajoran temple. 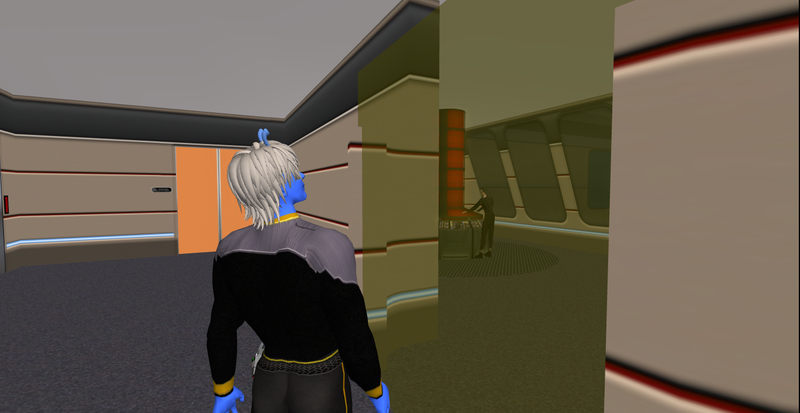 The Wraith says: jkejs euofu oplejsf jfdjapowe pogssdfo, The Cardassian Says: jhfoihase daihfiowe dkfhask and the Andorian says: nklcsd opuesasf. Turns out the universal translator is broken again.